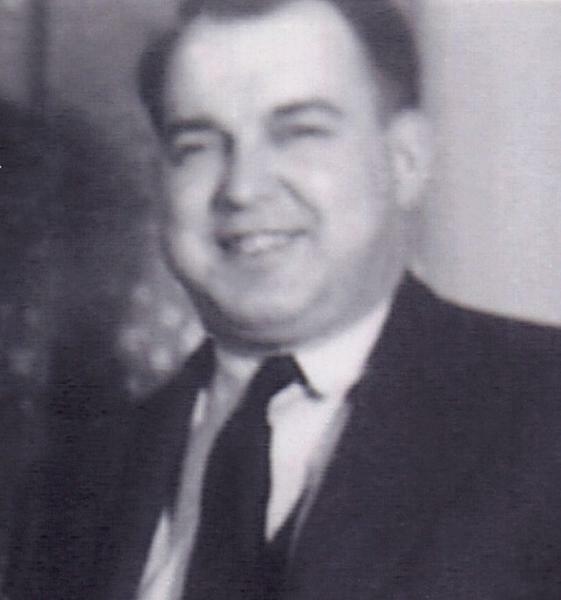 Earl Eugene Ernst was born on 14 June 1902 in Berlin, Waterloo County, Ontario, Canada. Samuel Rank Ernst and Fredericka Dorothea Augusta Vorwerk appeared in the 1 June 1911 census of Canada in Berlin, Waterloo County, Ontario, Canada, at 19 Roy Street. Other members of the household included Earl Eugene Ernst, Vorwerk Ernst and Harold Victor Ernst. He married Maybelle Mary Ada Sutherland, daughter of Herbert J. Sutherland and Florence Geiber, on 25 July 1925 in Preston, Waterloo County, Ontario, Canada, by license issued on the 10th, solemnized by Frank C. Harper. Earl Eugene Ernst died on 7 January 1946 at age 43. Maybelle Mary Ada Sutherland became a widow at his death. He was interred at Protestant Mausoleum, Woodland Cemetery, Kitchener, Waterloo County, Ontario, Canada.